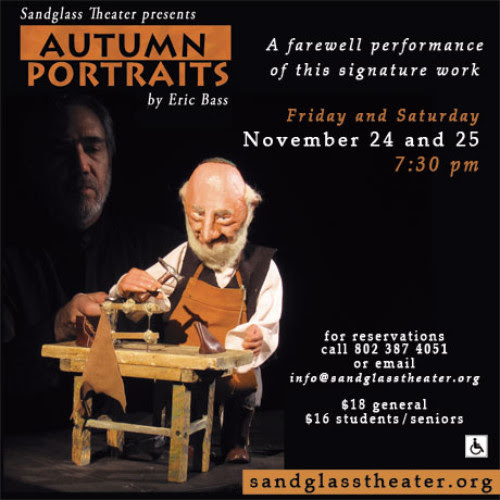 On Thanksgiving weekend Sandglass Theater honors the retiring of Eric Bass’s award winning solo, Autumn Portraits. Sandglass’ longest touring piece of repertoire will perform on Friday and Saturday, November 24th and 25th at 7:30pm for the last time. 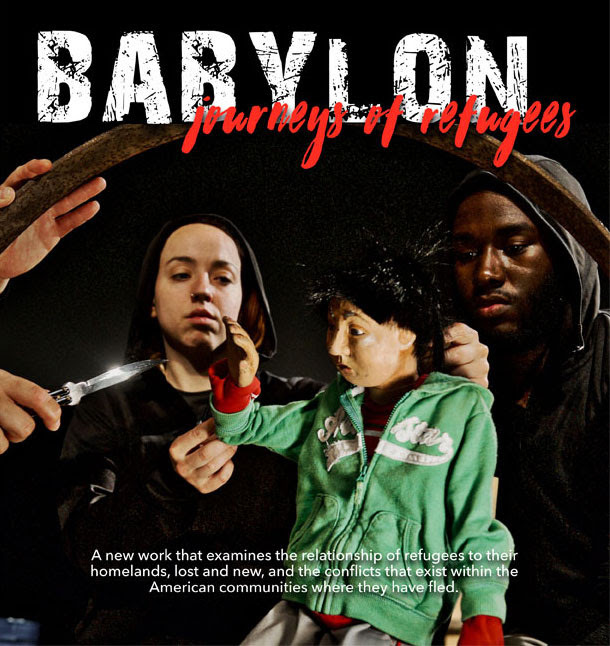 October 31st at 12:15pm and November 4th at 7:30pm Landmark College will present Sandglass Theater’s newest production, Babylon for a special residency and free public performance. Performances take place at Ladmark’s Greenhoe Theatre. 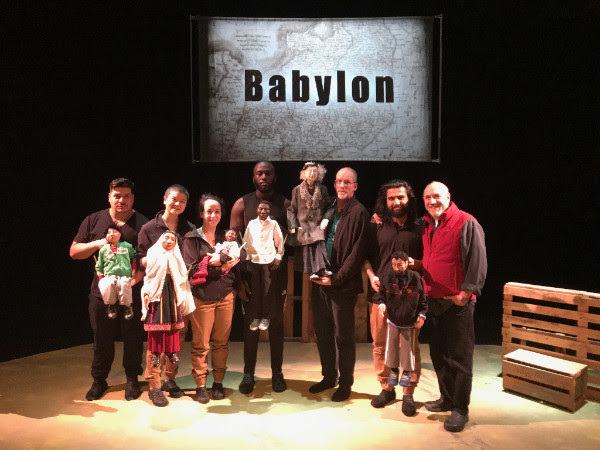 Sandglass Theater’s new work Babylon requires that performers have skills in puppetry, movement, music and acting as well as an ability to resonate with the difficult subject matter and to mesh in an ensemble environment. When James Gelter stepped away from the project he left big shoes to fill and Sandglass is delighted to introduce Divymaan Sahoo who has been working with the ensemble to get up to speed for the upcoming November 4th performance at Landmark college and for touring beyond. Sandglass is holding a fundraising crankie celebration! Sandglass is looking forward and in the process of implementing a strategic plan to create a sustainable organization that can continue to serve this community, create new work, and build bridges in our own culture and abroad. We now need your help! Margot goes on an adventure with her imaginary pal, Egg, in a world made of evocative shadows and quirky household items. A nonverbal interactive show filled with unexpected surprises and discoveries that presents a poetic journey for the child in all of us.